You have discovered Lakka Souli Radio and wish to hear additional internet radios? On hit-Tuner.net you can find simply radio stations exactly to your taste in music! As far as we are informed sends the radio station Lakka Souli Radio from the country Greece. 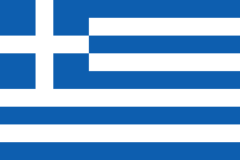 More Info: Greece is a country in Southern Europe. Greece is strategically located at the crossroads of Europe, Western Asia, and Africa, and shares land borders with Albania to the northwest, the Republic of Macedonia and Bulgaria to the north and Turkey to the northeast. The country consists of nine geographic regions: Macedonia, Central Greece, the Peloponnese, Thessaly, Epirus, the Aegean Islands, Thrace, Crete, and the Ionian Islands.